ARTIST Pablo Picasso created a vast array of works and there is a chance to see some of the lesser-known ones at The Lightbox in Woking over the next few months. Picasso: Paper & Clay, which is on now until 24 June, showcases work spanning almost seven decades of the Spaniard’s career. The exhibition focuses on two areas of his creativity, works he produced on paper and in ceramic, ranging from a pastel drawing he created as a teenager, to a major preparatory study made in 1937 for the painting Guernica, and an ink drawing made in 1971 at the age of 89. 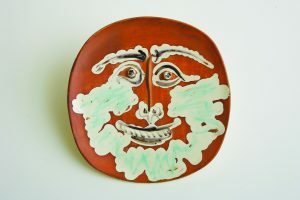 Works on paper include Picasso’s experimental printmaking as well as a few of the 4,000 different plates, bowls, vases, pitchers and other forms he created. In all, he designed 633 different ceramic limited editions. Two other exhibitions will visit the Lightbox during this time.